Despite his success as a writer, Leonard Cohen finds it hard to pay the rent. He decides to give music a try because Cohen thought he could make more money as a musician. "The song seized me and the appetite for reaching many people seized me. ""I always thought of myself as a singer," he tells Beryl Fox in a 1966 interview on CBC's This Hour Has Seven Days, "and kind of got side-tracked to literature." He leaves the Greek island of Hydra in 1966 for Nashville and by Christmas of 1967, Cohen releases his remarkable debut album, The Songs of Leonard Cohen. • At 17, Leonard Cohen had a country-western trio called the Buckskin Boys. He named his band Buckskin Boys because all three members of the group just happened to possess buckskin jackets. • Cohen also dabbled in acting. One of the more memorable performances was his cameo as the head of Interpol on the popular TV show Miami Vice. A Canadian Music Hall of Fame induction prompts the songwriter to reflect back on his life. 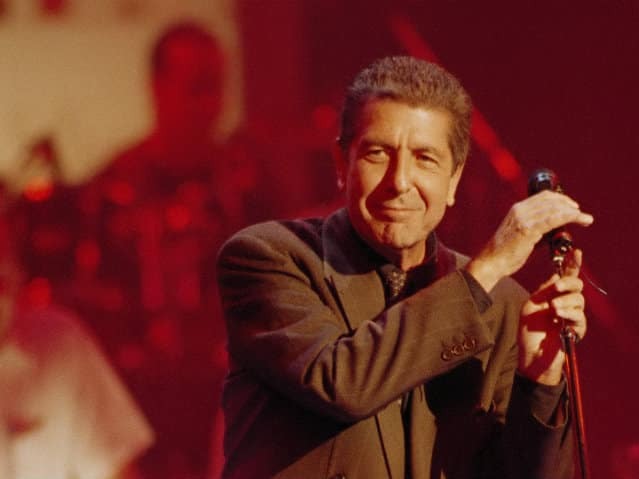 Cohen receives the Juno Award for Male Vocalist of the Year and the Governor General's Performing Arts Award. Just before his 1992 album is released, Cohen is Gzowski's guest in the Morningside studio. Vicki Gabereau gets in-depth and personal with the Canadian legend. Cohen discusses turning 50 with CBC Radio's Morningside host Peter Gzowski, who also turns 50 that year. Cohen opens up about his writing in Part II of a rare in-depth television interview. Cohen opens up about his writing in a rare in-depth television interview. Adrienne Clarkson interviews Cohen after the publication of his second novel. Leonard Cohen defends the 1963 work he says is "a third novel disguised as a first novel." Cohen lives on and off in Greece for almost seven years with a Norwegian beauty named Marianne Jensen. Cohen wows critics with his first collection of poetry.